Finished with attention to detail by builder Brooks White and designed by Santa Fe architect Trey Jordan to capture the majesty of the outdoors from inside, this impressive 3 bedroom 3.5 bath single-level contemporary condo in the Historic Eastside affords stunning and dramatic views of the Picacho Peak and Sun/Moon Mountains from the walls of windows lining the great room. 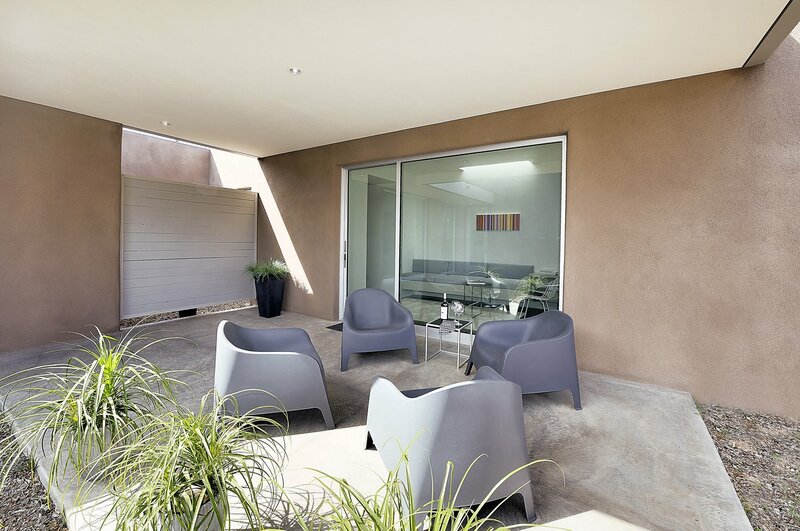 Step through the sliding glass doors to the thoughtfully sited courtyards to continue the journey outdoors. 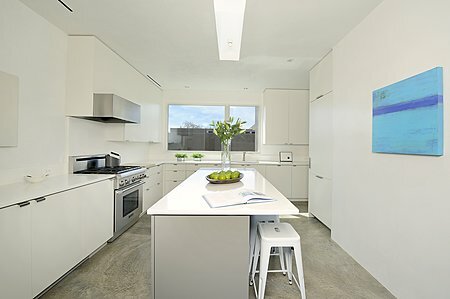 Open concept living/kitchen/dining is perfect for hosting grand events and entertaining with style. 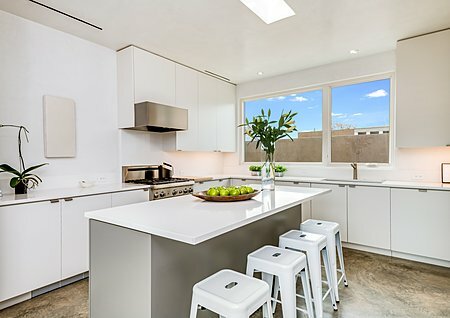 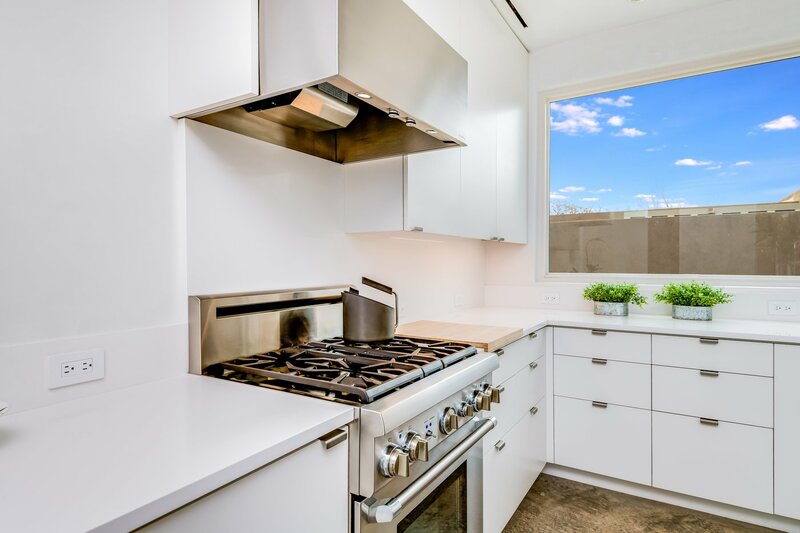 The gourmet kitchen has sleek white cabinets, well-appointed appliances and center island with seating. 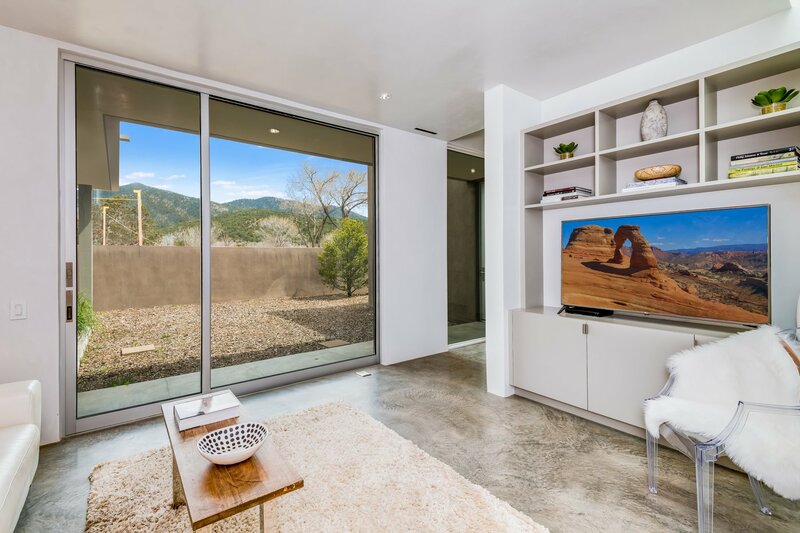 The separate media room/study has built-in bookcases and entertainment center. 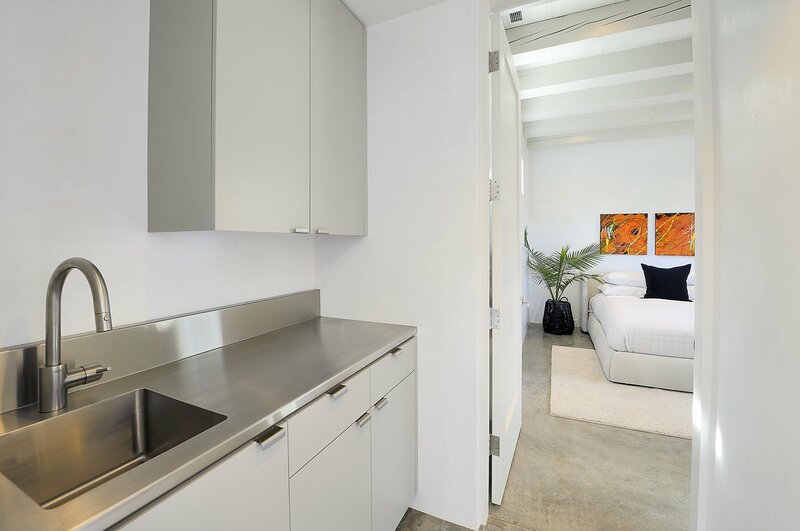 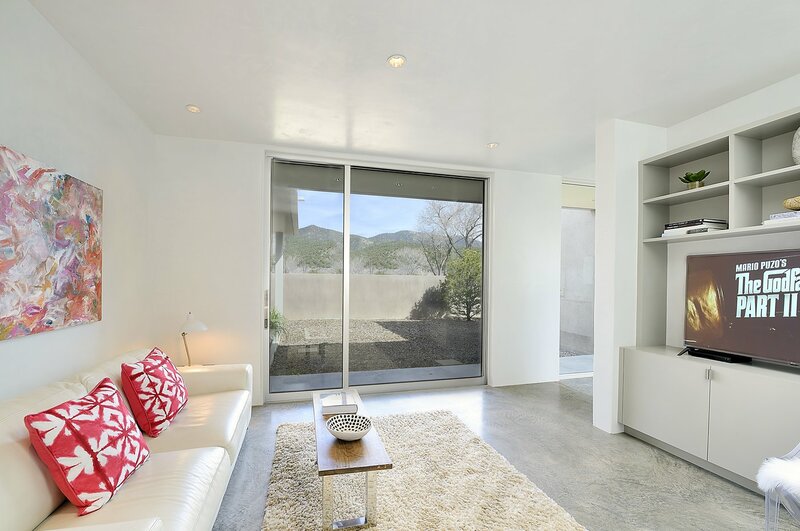 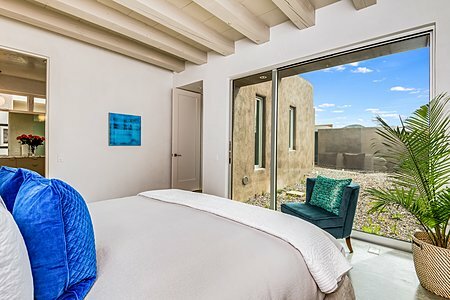 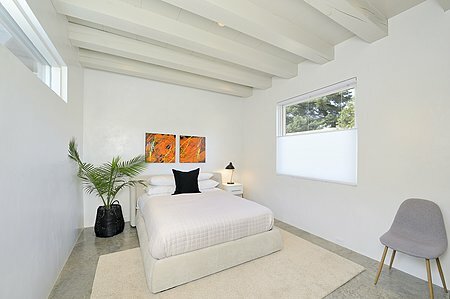 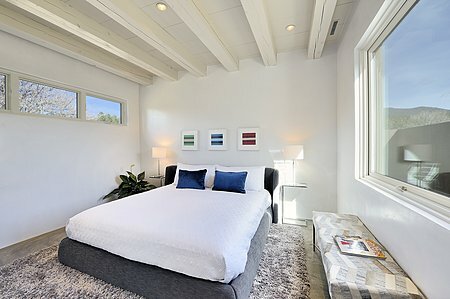 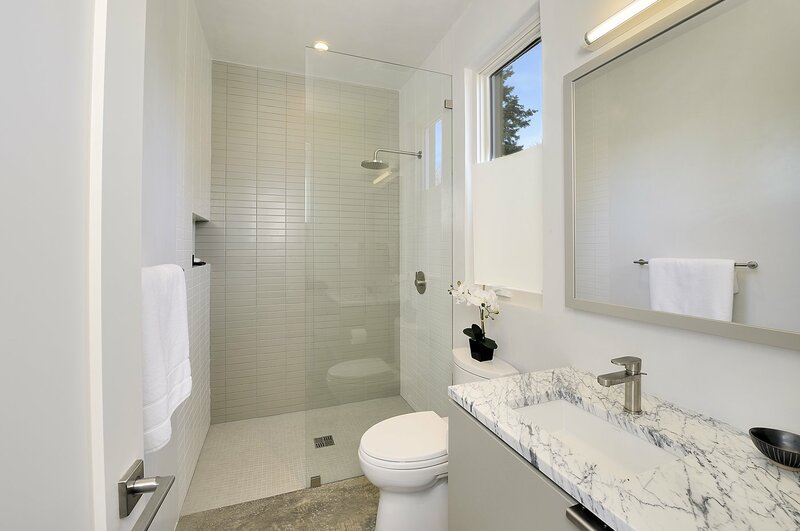 The 2 bedroom 2 bath guest suite with separate entrance offers maximum privacy for visitors. 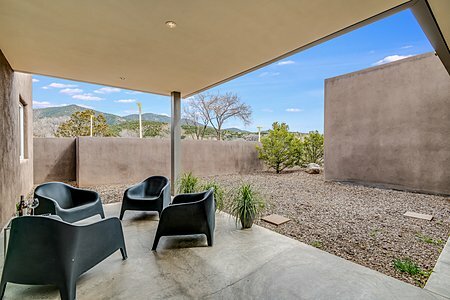 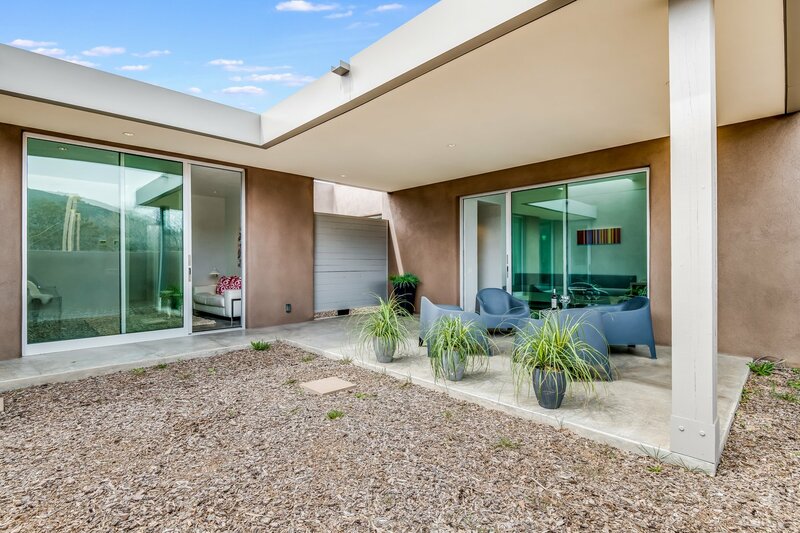 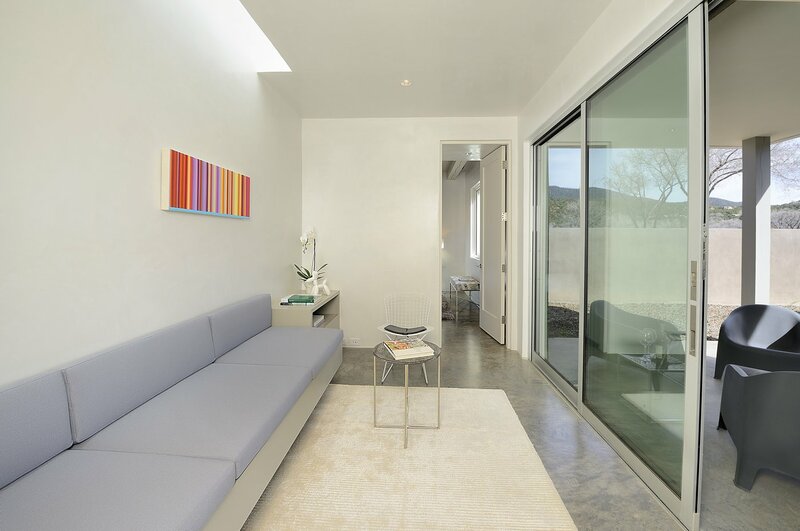 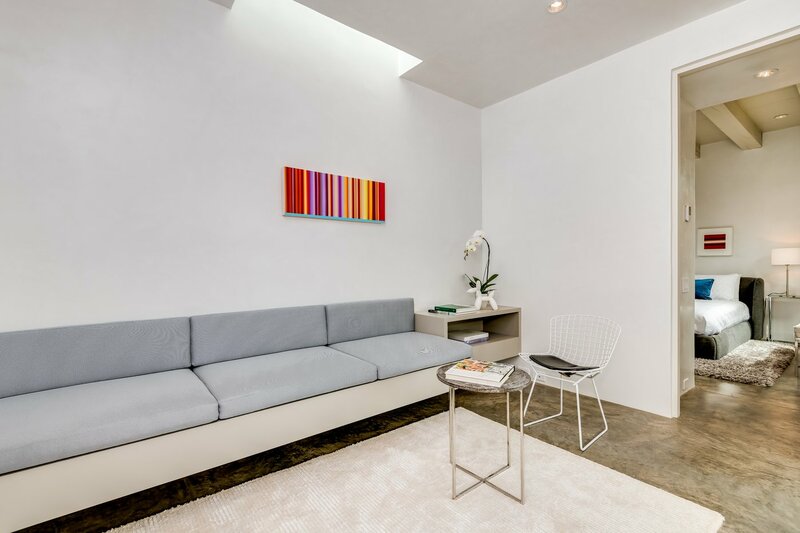 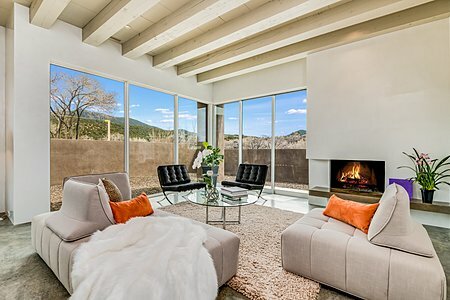 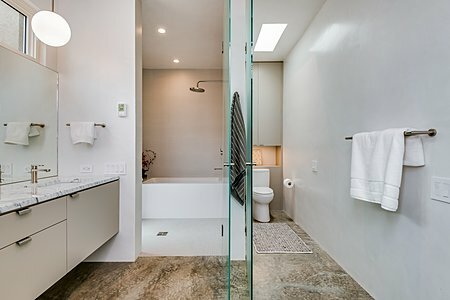 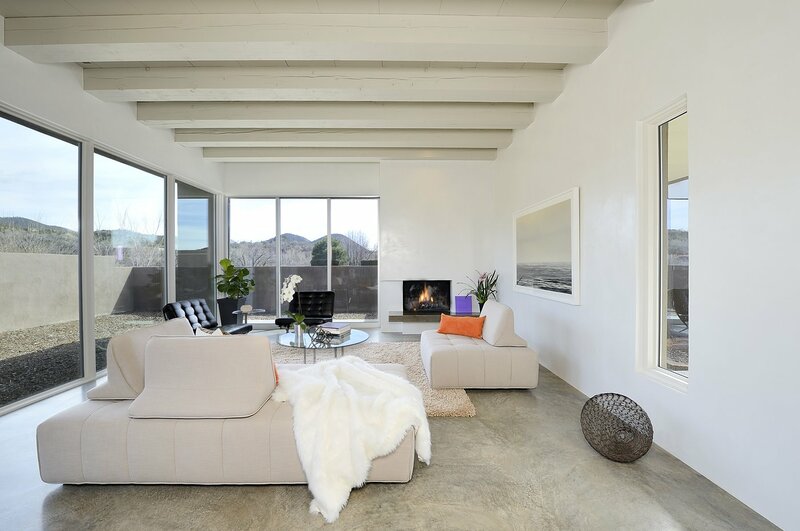 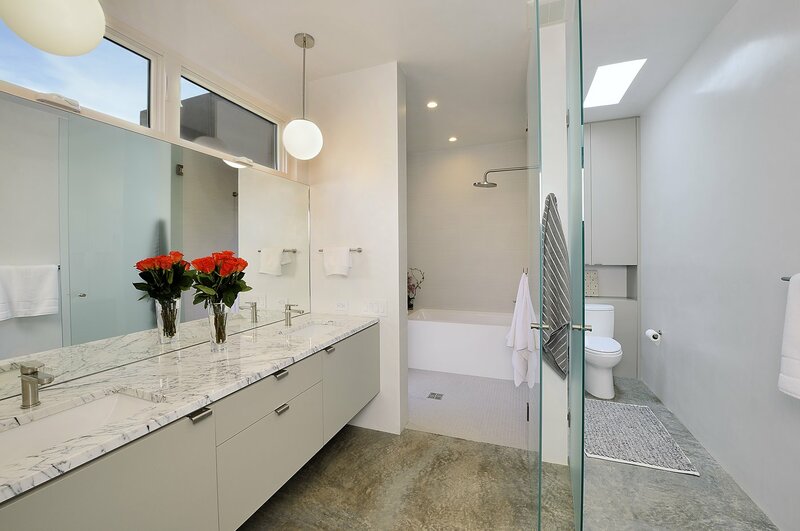 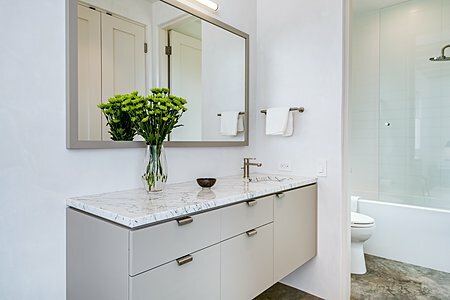 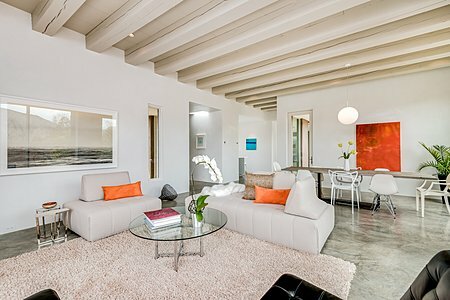 Exceptional extras include hand-troweled plaster walls, light beamed ceilings, hand-finished concrete floors, and Caesarstone and quartz counter tops. Just a few of the energy efficient details are insulated windows, sprinkler/drip system, recirculating hot water and EnergyStar appliances. Excellent airtight construction with heat recovery ventilation allows for healthy air quality. 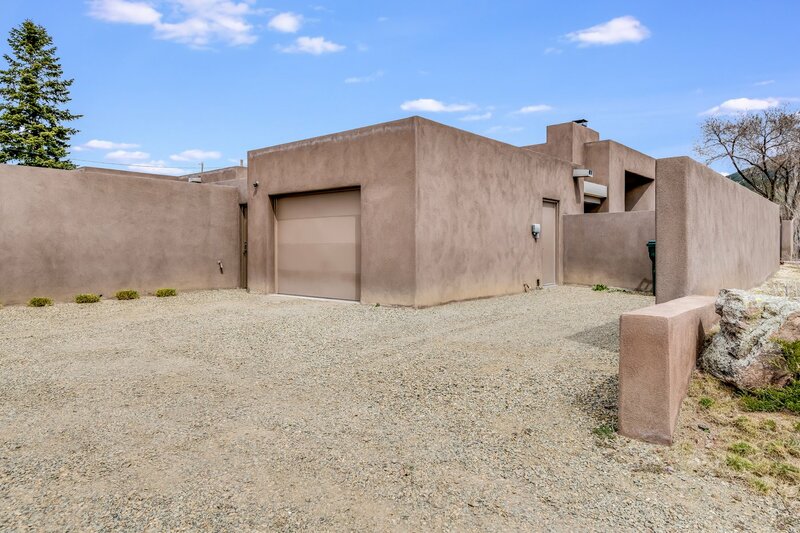 One car garage plus off-street parking for 2 cars. 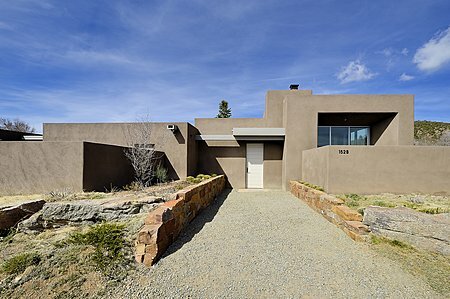 A rare opportunity to own new construction on a country lane off of Cerro Gordo Rd close to Canyon Rd.